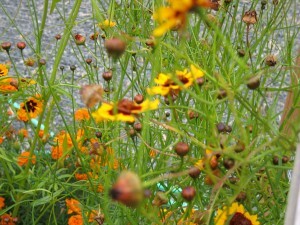 Today I dyed using the flowers of the dyer’s coreopsis. Last evening I harvested the rest of the blooms from the plants and added them to the collection of frozen ones I had been cutting all summer. I simmered them for about an hour, then left in the pot overnight. 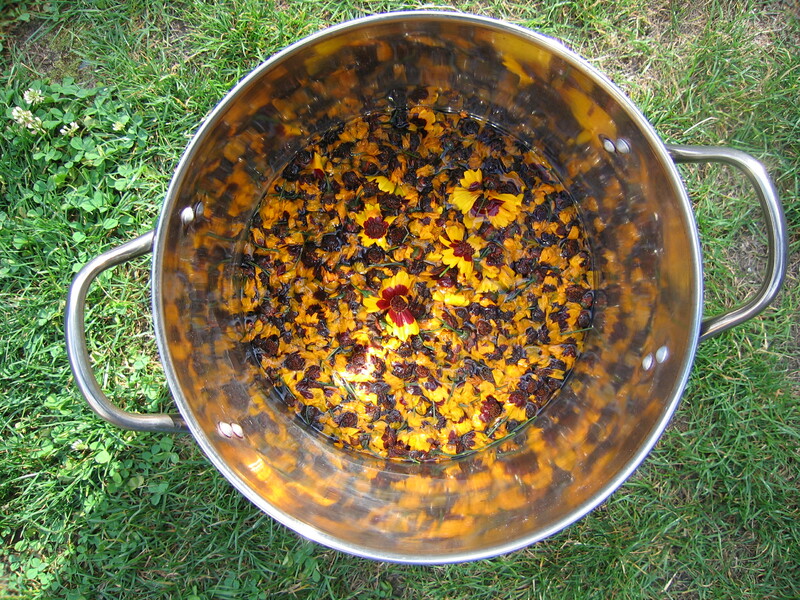 This morning I removed the plant heads/blossoms and strained the remaining liquid adding enough water to cover the skeins of yarns. 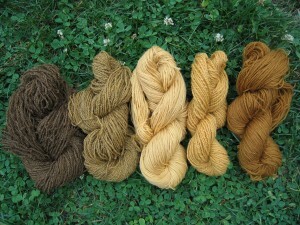 I immersed the alum mordanted wool skeins (one natural white colour, one natural grey and one natural brown). I brought the pot up to simmer and kept it at that temperature for about an hour. 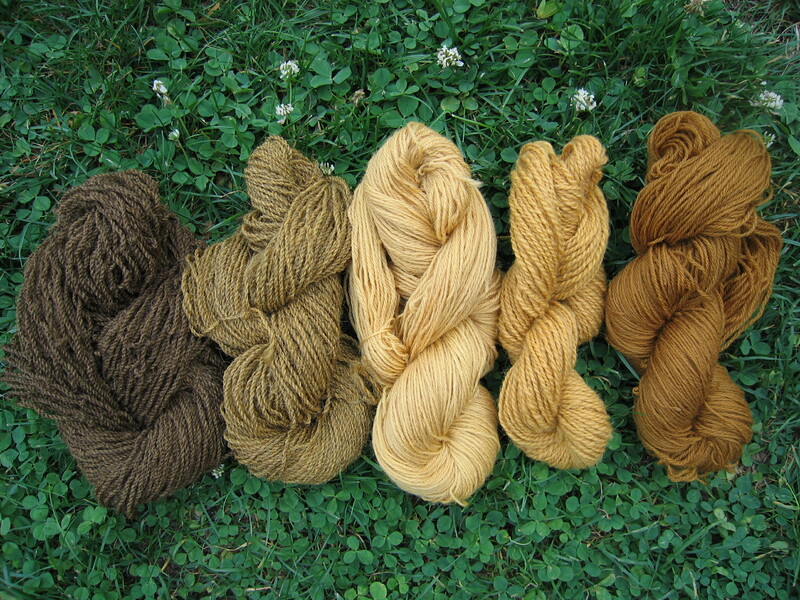 The exhaust bath also gave a beautiful strong golden colour although not as dark as the first dye bath using two natural white coloured wool skeins. You can see the results in the photos. I was very pleased with the intensity of colour.